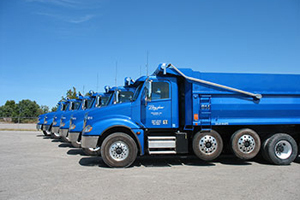 Founded by Greg Bagshaw in 1982, Bagshaw Trucking began with two dump trucks, two employees and a strong will to succeed. 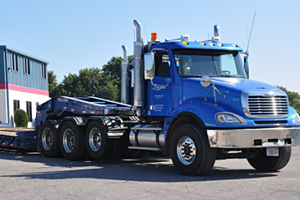 Through hard work, dedicated employees and loyal customers, that small fleet of two trucks grew into one of the largest fleets in the Southern Indiana and Louisville Metropolitan area. In 1996 tractors and lowboy trailers were added to our fleet; giving us the capability not only to haul material to and from our customer’s jobsites, but also move the equipment required to handle that material. 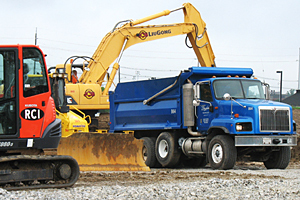 These services have helped us become a well-known partner to the construction industry. While we believe that no job is too large for us to handle, we also believe that no job is too small.